Whether you need a magnetic coin for all those easy to do coin tricks or just a shim coin that will attract to a magnet we can supply a range of coins to fill your needs. Our magnetic coins contain an actual magnet and our shim coins contain a piece of steel. 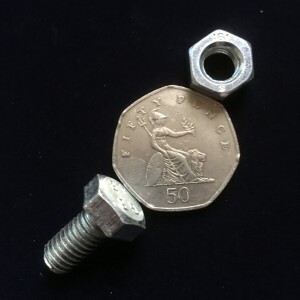 Current English 1p 2p 5p and 10p coins are already made of steel and as such do not need to be made as shim coins. Our magnetic coins will cling to a shim card, a steel coin or a neodymium ring. You can do lots of great coin magic with these magnetic coins. These coins are ideal for use with “The Bat” or “The Raven” and they can be easily detected when in an envelope or a bag for use in mental magic. The ones at £20 are examinable but the £10 ones only look good on the head side but if you are going to vanish it with a bat or a magnetic pull they only need to be good on the visible side.